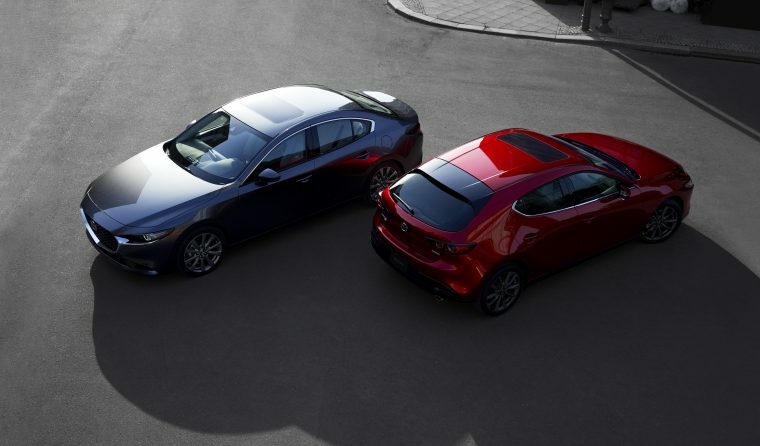 The 2019 Mazda3 sedan and hatchback. Ooh-la-la! Mazda on Tuesday night revealed the fourth-generation Mazda3 ahead of the official start of the 2018 Los Angeles Auto Show, proclaiming its development as an act of aspiration toward the goal of creating a car that simultaneously acts as a work of art. 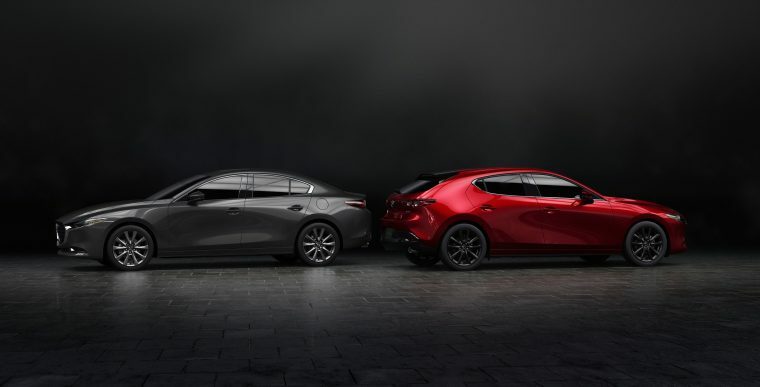 Guiding Mazda’s hand throughout the process was its ambition to create “an object of universal desire,” as though the Mazda3 sedan and hatchback will be coveted by beings even in the furthest reached of the galaxy. That’s some lofty stuff. We’re totally cool with it just being a handsome sedan or hatchback that drives nicely, ya know? The all-new Mazda3 advances the next phase of the brand’s Kodo: Soul of Motion design aesthetic by delivering vehicles that, despite existing under the same name, are meant to be completely unique. The sedan is meant to speak to sophistication, refinement, and maturity; the hatchback to sportiness, power, and seduction, all enhanced by its exclusive Polymetal Gray exterior color scheme. In either form, the next-gen Mazda3 helps the brand maintain its positioning as the high-class, high-quality pseudo-luxury brand for the workaday driver. 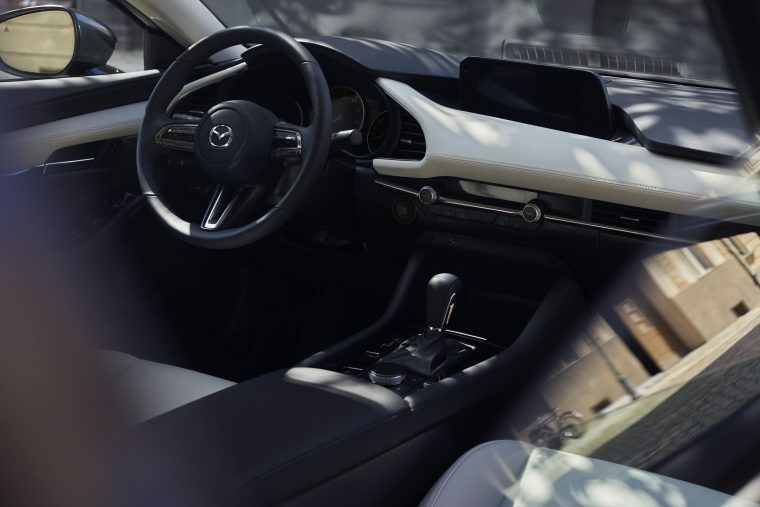 The new Mazda3 features an interior built around a vanishing point, placing the driver at the center of a horizontally symmetrical layout. It’s a very clean, “less is more” approach, and it’s perhaps at its most stylish and impressive in the Mazda3 hatchback’s exclusive Burgundy theme — replete with red leather upholstery that speaks to excitement and delicacy all in one suave package. So that’s what they were on about with the whole “object of universal desire” thing, then? In terms of performance, the Mazda3 is the first production to feature the Skyactiv-X engine, bolstered by the M Hybrid system, and it will be available with a Skyactiv-D 1.8 diesel engine. Mild hybrid Mazdas! Diesel is making a comeback! 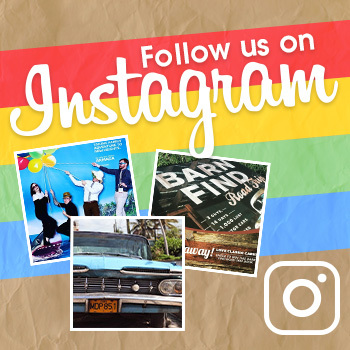 Exciting times, y’all. The Mazda3 will also get the latest version of i-Activ AWD, which will add four-wheel vertical load for improved fuel economy and reduced mechanical loss. This thing is just begging for a high-powered Mazdaspeed3 somewhere down the line, innit? Tech-wise, the Mazda3 gets a new Driver Monitoring system, which will work in conjunction with Smart Brake Support to improve braking if it suspects that you’re inattentive. Cruising & Traffic Support assists in stop-and-go traffic by helping out with accelerating, braking, and steering. Of course it’s smart. It’s a Mazda. That’s kind of Mazda’s thing. Early though it may be, it’s fair to say that the Mazda3’s standing as repeat top choice for coolest car on the block stands to remain intact. There’s a lot to unpack about the 2019 Mazda3, and that’ll no doubt be done over the next several days. In the meantime, dig these gorgeous photos.